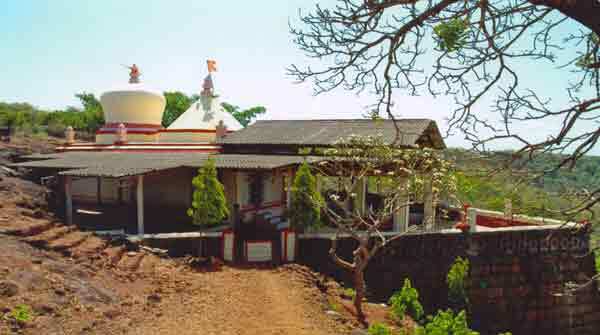 Ganeshgule Temple is near Ganapatipule. 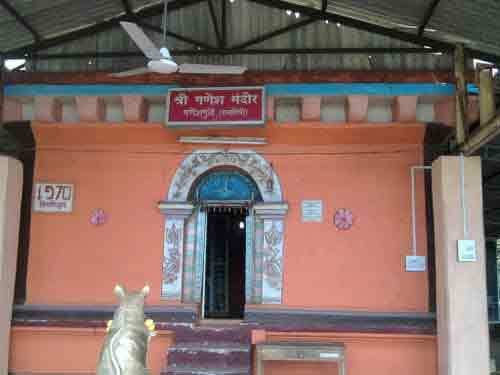 This is Shri Mahaganesh temple. 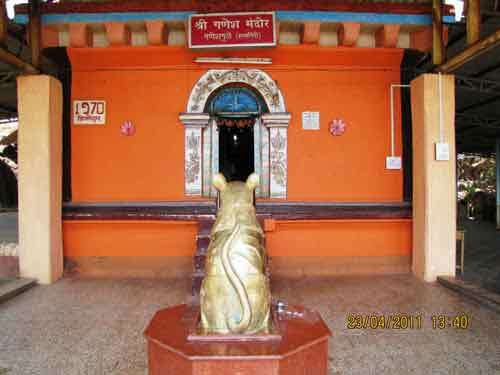 It has been proved that this temple is older than Ganapatipule temple. 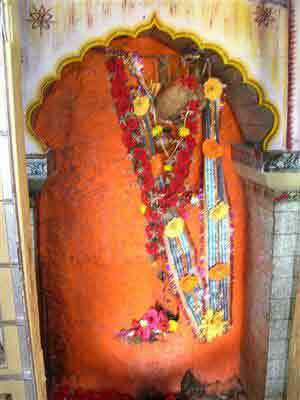 An ancient well of Pandav era is near the temple it is very deep but there are steps to go up to bottom of it. Trunk of ganesh in this temple is towards the west. 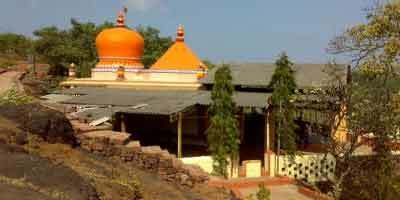 Visitors should visit Ganeshgule in Ganapatipule visit. 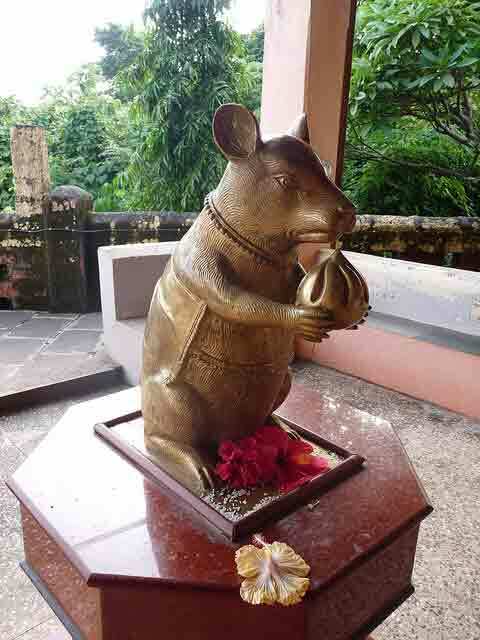 Hotels are available in Ratnagiri city. 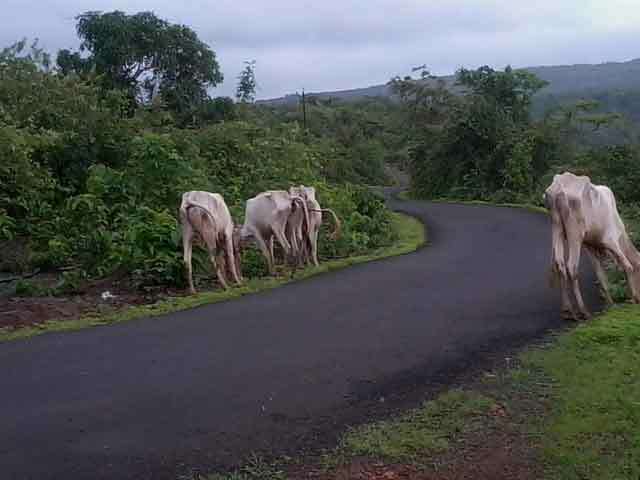 Nearest rail head is ratnagiri.